Coal deposits at Okaba (Northern Anambra Basin) and Gombe (Upper Benue Trough) were selected for study of their energy conversion efficiencies and as raw materials for the production of smokeless coal fuel, electricity generation and coking coal blending for steel production. Local combustion, organic geochemical Leco CS and Rock-Eval data were generated on the coals. Combustion studies recording the time it takes same quantities of water to attain boiling point using same quantities of coal show that the Okaba coal is the most efficient with 10.0 minutes while the Gombe coal recorded 12.5 minutes. Juxtaposed against earlier studies, the Omelehucoal (Northern Anambra Basin) took 11.4 minutes, Owukpa(Northern Anambra Basin)16.4 minutesand the Lafia-Obi coal (Middle Benue Trough) never brought the water to boiling point. Leco CS shows that higher TOC values equivalent to burnable carbon are recorded in the Okaba coals. Rock-Eval data show that highest Hydrogen Index (HI) values equivalent to fuel contents are also recorded in the Okaba. Integrating and combining the results, the coals from Okaba have the best energy conversion efficiency and therefore most efficient for use in smokeless fuel production and electricity generation, in the present form, with little negative impacts on man and the environment. Both the Okaba and Gombe coal deposits, based on the relatively high hydrogen index contents are suitable blenders with imported anthracite and/or bituminous coals for coke making. Defusinization experiments in which samples were digested with eight types of organic acids gave results that show that Benzoic and Formic acids can be used to clean the coals to make them more suitable for smokeless fuel production, electricity generation and coke making as the compositional requirements for all three applications lie in high HI and low OI values. The results obtained align with the Roadmap for the growth and development of the Nigerian mining sector developed by the Ministry of Mines and Steel Development. 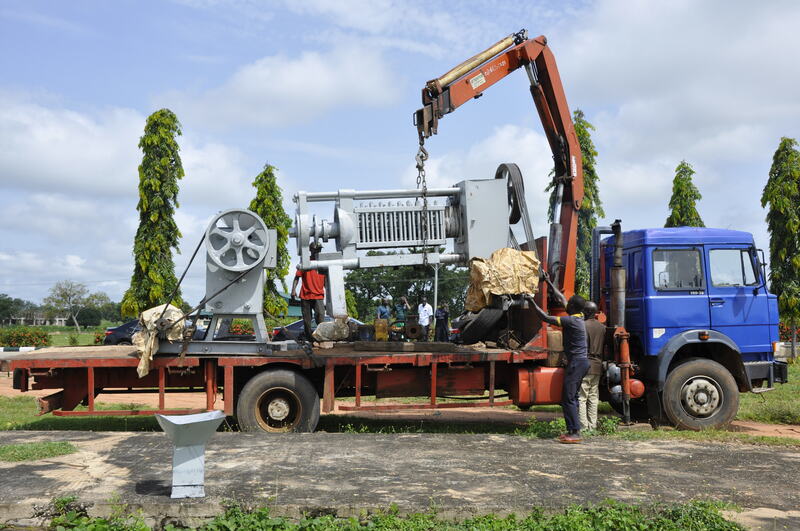 The generation of more electrical power from coals and the commercial production of smokeless coals for domestic cooking will make more power available for domestic and industrial purposes while assisting also to curb the alarming rate of deforestation in Nigeria. The results also benefit the search for blendable coals for coke making for the Nigerian iron and steel industry. FES/NNPC commissioned IBB University Lapai on the 13th November 2017 to produce detailed geological maps of the Bida and Sokoto Basins and to draw cross sections across the basins as a preliminary basis to infer sediment thicknesses and geologically prospective areas. Samples collected during the geological mapping and shallow wells drilled at Kudu and Makera in the Bida Basin were also to be subjected to Rock Eval pyrolysis as a basis for evaluating the source rock potentials in the two basins. The produced geological maps indicate that prospectivities in the Bida Basin increase generally towards the centre of the basin while those in the Sokoto Basin are mainly in the areas towards the border with Niger Republic. Organic matter content in the source rocks is moderate to high, predominantly gas-prone and generally sub-mature to marginally nature. The Executive Summaries for the two studies designated as Milestones 1 and 2 are placed against the report of each of the Milestones. The Bida and Sokoto Basins are a part of the western, central and eastern Africa rifted basins system. In the two basins, the sediment strata young towards the centre of the basins, implying increasing thicknesses in sediment accumulation and prospectivity towards the basinal centres. The two basins have been geologically mapped at higher resolution in this study. Stratigraphical formations and their boundaries have been identified and cross sections drawn to enable delineation of areas of thicker sediment piles. Outcrop and shallow well samples have also been collected, pending analyses. The stratigraphical formations mapped in the Bida Basin comprise the Bida Formation at the bottom, overlain by the Sakpe Formation, Enagi Formation and ending with the Batati Formation at the top. Based on the cross sections constructed, areas of thicker sediment piles in the basin are around the villages of Pattishabakolo, Kandi, Edozigi, Duba, Lemu. Gegu and Agbaja. In the Sokoto Basin, the encountered stratigraphical formations comprise the Gundumi/Illo Formation at the base, overlain by the Rima Group, the Sokoto Group and the Gwandu Formation at the top. All cross sections across the basins show that sediment thickness vis-à-vis prospectivity increases towards the border with Niger Republic and mainly in the areas covered by the Gwandu Formation. These areas comprise Kiwo-Allah, Balle, Illela, Argungu, Birnin Kebbi, Gwandu, and Koloye, amongst others. The geologically defined prospective areas must be supported by geophysical profiling and source rock data. The maps and cross sections have been produced on power point programmes. Optimum processing parameters are achievable through increasing magnification. Five hundred samples each were collected from the Ahoko and Kudu Shale within the Patti/Enagi Formation in the Bida Basin and from the Dukamaje and Taloka Formation in the Sokoto Basin for the purpose of Rock Eval pyrolysis analysis. In the Bida Basin, samples were collected from Ahoko (outcrop) (200), Kudu (shallow well) (150), Makera (shallow) (150). Sixty four (64) samples, representing 12.8% of the total number of samples have TOC less than 0.5wt% and were screened out. Of the samples with TOC>0.5wt%, the following Rock Eval results were obtained (averages): Ahoko Shale: TOC = 1.72wt%, HI = 63mgHC/gTOC, Tmax = 426oC; Kudu Shale at Kudu: TOC = 11.04%, HI = 226mgHC/gTOC, Tmax = 431oC; Kudu Shale at Makera: TOC = 9.66wt% , HI = 219mgHC/gTOC, Tmax = 428oC. Integration of the results shows that source rocks in the Bida Basin are generally sub-mature to marginally mature and overwhelmingly gas and oil & gas-prone at deep-seated levels where appropriate maturities may have been attained. A few are oil-prone. In the Sokoto Basin, samples were collected from Wurno (outcrop) (200), Gada (shallow well, samples already on the surface, uncontrolled depth) (150), Goronyo (Taloka Formation) (outcrop) (150). One hundred and twenty six (126) samples, representing 25.2% of the total number of samples have TOC less than 0.5wt% and were screened out. Of the samples with TOC>0.5wt%, the following Rock Eval results were obtained (averages): Dukamaje Shale at Wurno: TOC = 1.53wt%, HI = 62mgHC/gTOC, Tmax = 427oC; Dukamaje Shale at Gada: TOC = 3.24%, HI = 90mgHC/gTOC, Tmax = 428oC; Taloka Formation coals at Goronyo: TOC = 33.94wt% , HI = 82mgHC/gTOC, Tmax = 434oC. Integration of the results shows that source rocks in the Sokoto Basin are generally sub-mature to marginally mature and overwhelmingly gas-prone at deep-seated levels where appropriate maturities may have been attained. A few are oil & gas prone. Modelling of the results one-dimensionally on the BasinMod and RockDoc softwares (using only the Tmax values and assumed geoheat flow of 2oC/100m, and deducting corrections) shows that the current maturity as measured in both basins were attained at depths of approx. 3,000m prior to exhumation at about 53 million years ago (Eocene). Source rocks that have remained at that depth and upwards to 1,100m would have matured into the oil/gas window for 53 million years time lag and continuous sedimentation and deposition of overburden. The Sokoto Basin would have experienced further uplift as it is known to be shallower than the Bida Basin. The result on the organic matter quality is closely similar to the Niger Delta scenario where the hydrocarbon composition is more than 70% gaseous. Maturity in the Tertiary source rocks of the Niger Delta was attained by subsidence and depth of up to 10,000m whereas maturity in the Bida and Sokoto Basins was attained though prolonged time of entrapment, being of Cretaceous age. Physical mapping and geochemical characterization of some industrial mineral occurrences in North-Central Nigeria have been undertaken as a basis for assessing their economic quantities, modes of occurrence and physico-chemical characteristics as raw materials for industrialization in the region. Physical mapping-surveys have been carried out on clay, marble and talc deposits in Niger State; barite and clay deposits in Nasarawa State and on clay, marble and feldspar deposits in Kogi State. 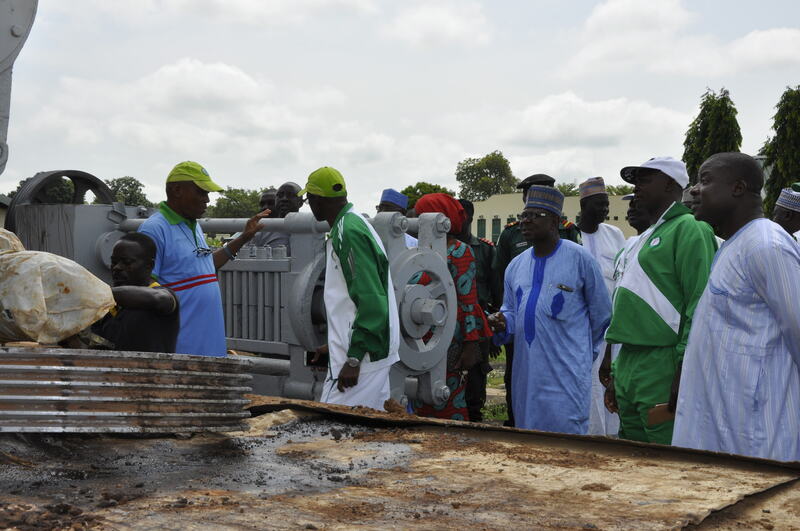 Economic deposits of clay have been mapped in Niger State at Mashegu, Kutigi and Lemu, marble and clay at Kwakuti and talc at Kagara. In Nasarawa State economic deposits of barite were mapped at Azara and Wuse and clay deposit at Shabu while in Kogi State economic deposits occur at Ahoko and Ojodu, marble at Jakura and Obajana and at Allo/Itobe and feldspar at Ajaokuta. All the mapped industrial minerals occur in economic quantities, although the exact reserves have not yet been measured. The clays at Kutigi have high content of kaolinite (on the basis of XRD examination) while those at Lemu, Mashegu and Ojodu have been diminished by high silica content (XRD and XRF measurements). Alumina (Al2O3) is extremely low in the Ojodu clay. The marble deposit at Kwakuti is highly calcitic (very lowly dolomitic) with significant content of Cu, Pb, Zn, and Ba traces; the associated clays at the same locality have high alumina content and a significant content of Zr traces. Equally the marble deposits at Jakura and Allo/Itobi in Kogi State have high CaO and very low MgO. However, the Itobe marble is characterized by high content of Vanadium. The barites at Azara and Wuse have more than the required BaO to serve as raw materials in many industries. The content of iron oxide (Fe2O3) in the talc at Kagara and clays at Lemu, Mashegu, Shabu and Ahoko (brown) may constitute obstacles in their industrial applications. The clays at Kutigi have the required economic quantity and chemical parameters for exploitation as raw materials for a ceramic/sanitary ware industry while those at Mashegu and Lemu are more suited for pharmaceutical industry. The marble at Kwakuti can support a large size cement factory with raw material supply for 35 years (at presently mapped occurrences; additional reserves may be booked with time). The Jakura and Itobe marbles are already being exploited for cement and sanitary wares manufacture. 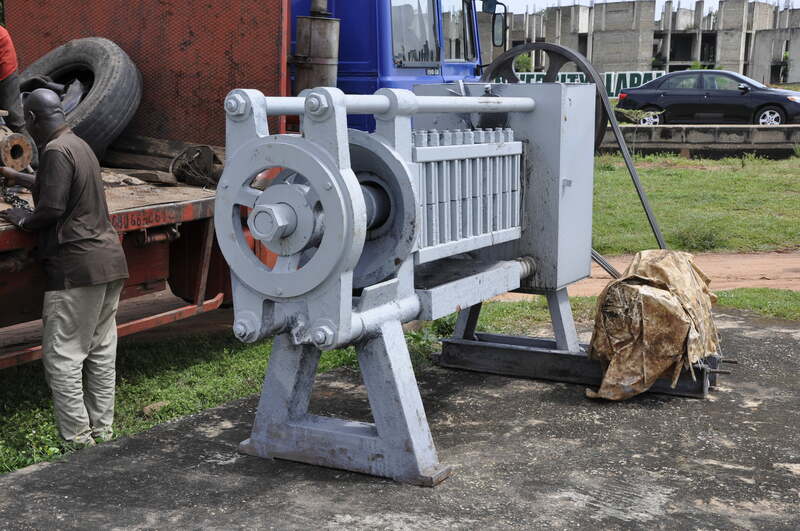 The talc at Kagara can support a cosmetic factory while the barite at Azara and Wuse apart from meeting the demand for oil drilling fluids can also support a paint industry at the location or nearby. The Shabu clays will need further investigations. 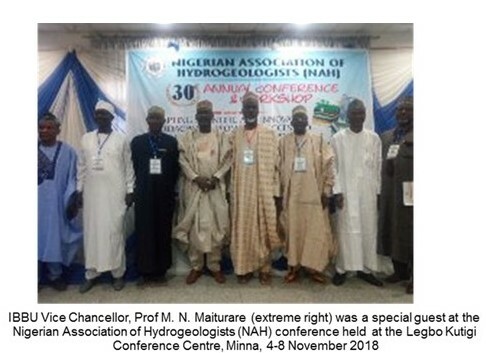 The 30th National Conference of Nigerian Association of Hydrogeologists (NAH) with Theme “Adapting Scientific and Innovative Approaches in Promoting access to clean and safe water supply” held at the Justice Idris Legbo Kutigi International Conference Center, Minna, Niger State, 4th to 7th November 2018. 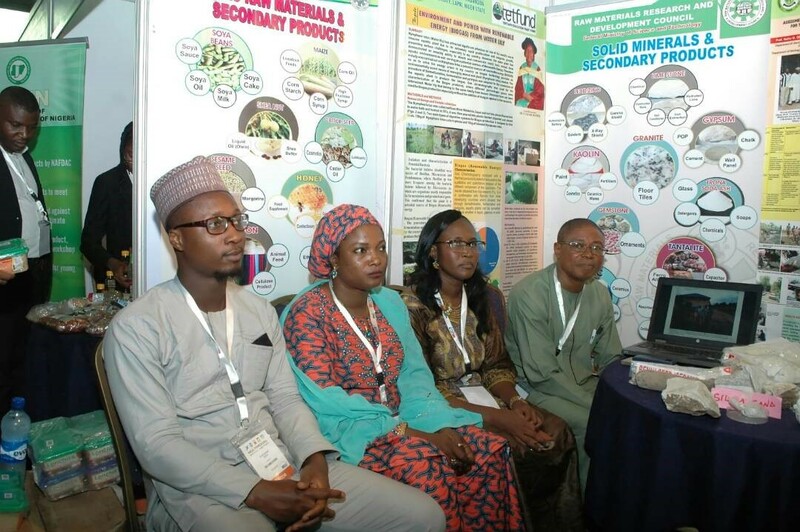 The Nigerian Association of Hydrogeologist is the main non-governmental and non-profit making organization for Hydrogeologists, Environmental geologists and professionals that are involved in groundwater development and management in Nigeria. Members of the association are involved in groundwater exploration, development and protection, geotechnical assessment for engineering construction, dams, reservoirs and environmental protection. Its activities are all encompassing and embrace all aspects of national development. 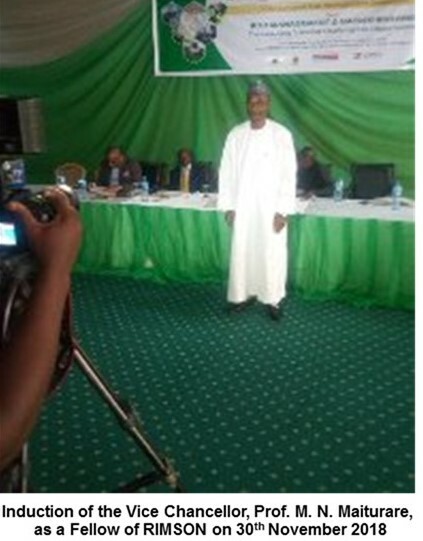 The Vice Chancellor, Prof. Muhammad Nasir Maiturare, was a special guest at the conference. He was accompanied by the Director CASTER, Prof. Nuhu Obaje. Highlight of the conference include plenary session, paper presentation from members of the academia, captains of industry and professionals involved in water resources development and management as well as environmental protection and engineering construction works. In the framework of the UN Sustainable Development Goals and Education 2030, the UNESCO Project Chair, represented by its chair holder, Professor Charles Hopkins, and IBB University will collaborate in order to generate academic research into how schools and formal education systems could change to better meet local education needs of the Indigenous and marginalized youth in traditional communities and to develop recommendations to assist education leaders worldwide to promote change. In this context, the Project Chair and have proposed a Memorandum of Cooperation to define the modalities of the cooperation as well as to create synergies, to enhance impact and to be more effective together. 1)	To develop local approaches to improving the education of the school age youth. 2)	to improve the overall quality of community well-being as defined by the community itself. 3)	to disseminate the research findings to assist and guide other ministries of education and school systems in their attempts to meet their responsibilities and targets within Education 2030. Further objectives may be determined by the partner sites. As a mutual basis for understanding, the Project Chair will regularly provide updates on the Project description and the current status of the Project in all regions. IBBUL will identify areas of student exploration of locally relevant sustainability issues to deliver the core knowledge, skills and values that will improve the well-being of the students and their community. In doing this, IBBUL aims at creating a regional network with local school or other relevant institutions that will carry out the action-oriented research approach. IBBUL will be responsible for tracking and documenting the results and findings in cooperation with the local sites involved in the Project. IBBUL will commit to support the Project Chair to organize and hold regional meetings in the course of the Project. The Project Chair will create a Project platform to foster a self-organized local and regional research networks and to support sharing gained knowledge. The Partners will jointly strengthen relationships to relevant government institutions and other relevant institutions. They will distribute news about their work via their websites, social media and other networks or distribution lists. Both parties commit to actively mobilise the best possible and diverse expert community and public audience. The Project Chair assumes budgetary and financial responsibility for basic organizational structures of the Project. IBBU assumes budgetary and financial responsibility for her specific research and local network cooperation. The Project Chair will assist the IBBUL to acquire further funds to facilitate the project. 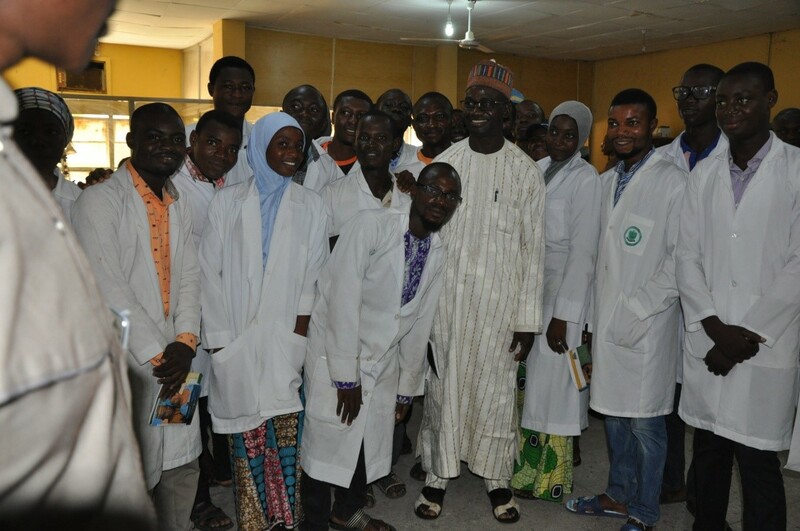 The Inaugural meeting of the Joint Management Committee of the North Central Zone Biotechnology Centre held on the 30th of May 2017 at University of Jos in Plateau State The Vice Chancellor of the University of Jos represented by the Deputy Vice Chancellor Academic of the institution who inaugurated the committee commended IBB University as the first and only Institution that responded in writing to the invitation sent from Jos. After the inauguration, the Director of the Centre, Prof T. Namo, welcomed participating institutions and as well gave brief history of the Centre and the essence of creating the committee, which was borne out of an MOU signed between the National Biotechnology Development Agency (NABDA), a parastatal of the Federal Ministry of Science and Technology on behalf of the FGN and the University of Jos as the contracting parties in 2008 but could not take off up until the date of the meeting. The host institution shared its experiences on innovative Agricultural practices with indigenous crops. Kogi State University Director of Academic Planning, Prof Friday Garba Ogbe, presented some details on KSU’s cashew venture and also on the current work in progress on malaria control vaccine. 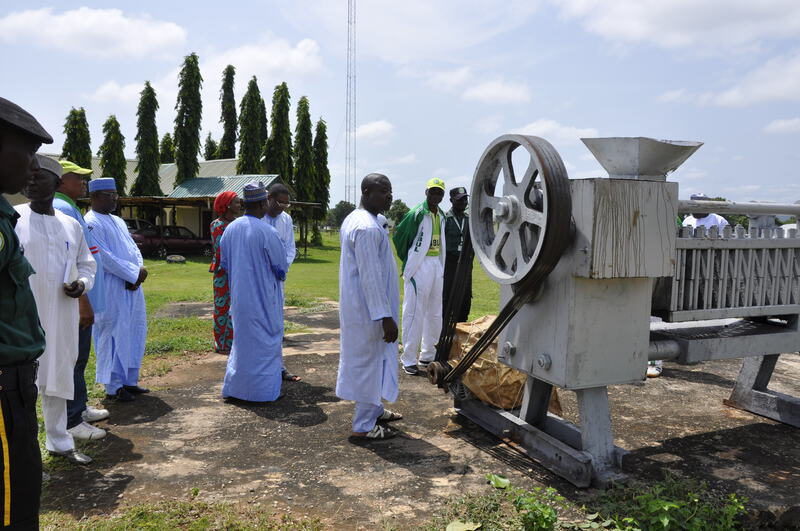 IBB University, Lapai representative Dr N. J. Dadi-Mamud shared the institution’s research and development’s projects on Minerals, Biogas, Smokeless fuel, Organic agriculture, Fisheries, Egg powder, Shelf life and Cashew juice processing and preservation. 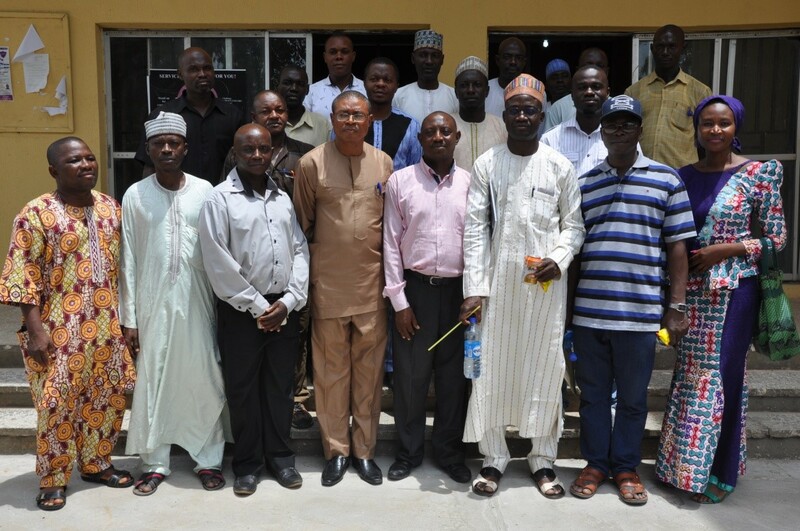 IBB University, Lapai and Kogi State University Anyigba discussed further on Cashew juice and agreed to harmonize so as to come up with a way forward especially on the reduction of alkaloids which affect the sweetness of aftermath in cashew fruit juice and best varieties of cashew fruits to deploy. 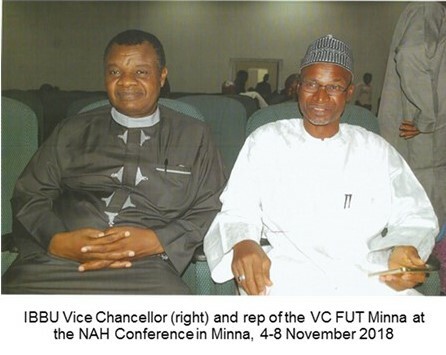 Prof Emmanuel Ogbadoyi, Director of Global Institute for Bioexploration, represented FUT Minna and shared with the committee members, FUT Minna’s recent venture into nano and other molecular biotechnology processes. Other participating institutions also gave their experiences on crops and spices common to their areas and how far they had carried out research on these crops. 3. Networking to improve research in the zone. 4. Work on crops that are unique to the zone for research projects. Some of the varieties suggested by members for the zone to look at include: Cashew, Spices, Shea butter, Potatoes, Yam, Rice, Acha, etc. The Joint Management Committee quarterly meeting is slated for second week of the second month of each of the quarter, but the specific day will be communicated to members through the Director of the Centre from University of Jos. Some resolutions were taken at the end of the meeting which will be given to members together with minutes of meeting in the next quarterly meeting. The Ibrahim Badamasi Babangida University has won a contract of the UNESCO Regional Office in Dakar, Senegal to conduct Research on Education and Culture in Sub-Saharan Africa with Professor Steve Nwokocha (HOD Sociology) as the UNESCO accredited Lead Researcher. The data collection exercise which was in The Gambia and Ghana covered May 8-19, 2017. 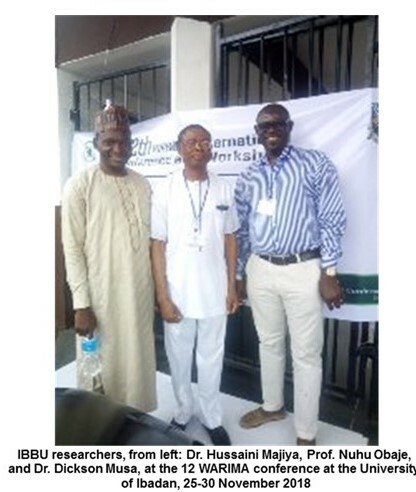 Professor Nwokeocha was on the research trip with two other IBBUL colleagues, Prof. Mrs Rosemary Igbo of the Department of Continuing Education Dr. Aliyu M. Bello Mohammed of Sociology Department. In addition, the Annual International Conference and Roundtable of the Africa Federation of Teaching Regulation Authorities (AFTRA) held May 22-26, 2017 at the University of South Africa, Pretoria, South Africa. Professor Nwokeocha is the Executive Director of AFTRA in charge of the events.